Could these five Eredivisie players be on the move this summer? As one of Europe’s second tier leagues, the Eredivisie will always be at risk of losing its best players, as has happened in recent years. Last season it was Memphis Depay, Gini Wijnaldum, Luc Castaignos, Jordy Clasie and Oussama Tannane who were the big names to leave Holland. This year’s Eredivisie has had an intriguing title race with both PSV and Ajax level on points going into the last two matches. Meanwhile, there have been young players breaking through lower down in the league that will attract big interest this summer. The following are the five players that I feel will attract the most interest and are ready to try their luck in another league tells Jake Jackman. The FC Twente attacking midfielder is almost certainly going to be leaving the league this summer, as he has outgrown the Eredivisie and his club are in desperate need of cash. Ziyech is a number ten, who is capable of scoring and creating goals as shown by this season’s tally of 17 goals and 10 assists. He has already tied Memphis Depay’s goal and assists haul from last season, and with two matches to play, he is set to beat it. Ziyech is a dead ball specialist, while his vision is also incredible as he often plays key passes that open up opposition defences. He has also showed his leadership ability as he has captained FC Twente this season after opting to remain at the club last summer. I’d expect Ziyech to be available for a reasonable fee all factors considered, which could make him the bargain of the summer. He has been linked to Barcelona, Leicester City and Fenerbahce in recent months and it is impossible to predict where he will end up. The 23-year-old will be known to a lot of scouts across Europe and with the potential of making a huge profit, there will be lots of clubs asking about the midfielder. This year was Janssen’s first in the Eredivisie, but he is en route to being the league’s top scorer and he has also made his Oranje debut in recent months. He made an impact against England, getting a goal and an assist as the Dutch recorded a famous victory at Wembley. This match may have brought him to the world’s attention, but the AZ striker was already well known to regular watchers of the Dutch top flight. Janssen is a complete forward who is very capable of leading the line on his own. His strengths lie around the penalty box as he is a strong finisher, while he is good at anticipating potential chances. Janssen is a capable dribbler, while he also brings midfielders into the game in the final third. He has an incredible 25 goals in his first Eredivisie season, which surpasses his tally from last season with Almere City. His rise to the top has been staggering and at the age of 21, he is likely to improve a lot more, which is exciting for Oranje fans, especially after the disappointment of missing the European Championships this summer. Janssen would suit Premier League football, and has been linked to both Liverpool and Manchester United. If he does move to a new league in the summer, fans will have to be patient and give him time to adapt as he is still very young. Janssen has adjusted quickly to every challenge he has been set in his career and I think he would be a huge hit wherever he goes. 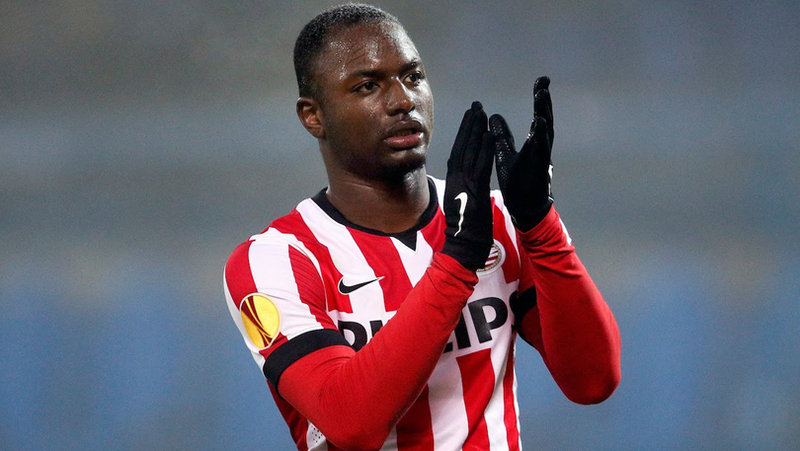 Jetro Willems would have probably departed the league last summer if it wasn’t for his injury problems. He returned in the second half of the season and has performed well for the most part, but he has yet to find his form from last season. He has one goal and three assists to his name from just 13 league games, which shows that he is still a very effective player going forwards. Meanwhile he showed his defensive qualities in both legs against Atletico Madrid, playing a key part in two clean sheets. Willems is a modern day full back, who loves rampaging forwards. He is a good crosser of the ball and his ability to make the decision when on the ball in the final third shows intelligence beyond his years. He has been linked with several clubs including Manchester United, Liverpool and Arsenal in recent months. It is got to the point when he should consider moving to another league to test himself and to continue progressing. He would risk stagnation if he remains in the Eredivisie as he is comfortable and established as the best left back in the division. He could cost up to £10m this summer, but he would be a great signing for any of the clubs mentioned as he has the potential to become one of the best full backs in world football. Also, he brings experience of the Champions League and has a winning mentality, both of which will be invaluable when he finally leaves the Eredivisie. The Ajax academy is still bringing through great talents in each generation and Riechedly Bazoer could be the best for a long time. He has already established himself as a starter for both club and country, while he has interested the likes of Napoli in recent months. The central midfielder is a great passer of the ball, while he is capable of carrying the ball, which is often does as he drives Ajax forwards. His reading of the game is superb as he rarely makes mistakes. Moreover, he is able to score goals with his tally standing at five for the season, with his long shots being another strength. He is only 19-years-old and his potential is enormous. Bazoer is likely to go for a big fee when he does eventually leave Ajax. He has been linked with a move to Arsenal recently, but he may feel another year in the Eredivisie would be beneficial for his development. A move too soon to the wrong club can leave your growth at a standstill as Memphis Depay has learned the hard way. If he does leave this summer, he will be a great pick up for one of Europe’s premier clubs. The striker has had a great season in the Eredivisie and at the age of 21, he will develop a lot more in the future. Haller is all the attributes to succeed in a bigger league. He is great in the air, a strong finisher and capable of beating defenders on the dribble. The Frenchman is also contributes defensively, especially when it comes to defending set pieces. He almost joined Norwich City in January for £6.5m and although his value may be more in the summer, he will still be a cheaper option for clubs. He is an exciting prospect and it might be worth taking a risk on him now at a fee around £8m, than waiting and seeing his value rise. Haller has scored 17 goals and has 4 assists, an impressive return which has helped his club get in contention for a Europa League spot for next season. He remains inconsistent and often scores his goals in streaks, but that is to be expected given his age. Tottenham have been linked with him in recent weeks, but they may be looking for a more proven talent to be a back up to Harry Kane, especially with the Champions League next season. 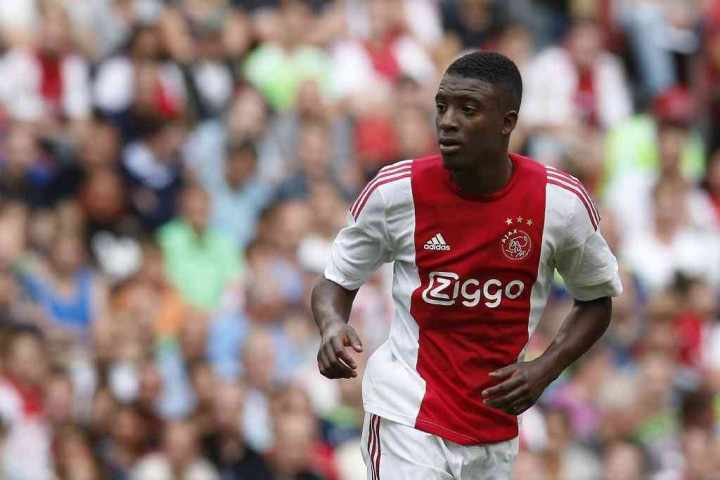 He may opt for one more season in the Eredivisie, there will be interest in him this summer though. ← Vincent Janssen – The future firepower for Oranje?